The Strategy Group met on Wednesday to discuss changes to the sport for 2016/17 but have actually forwarded suggestions to the WMSC for implementation this season too. To be implemented as early as the Belgian GP there will be less communication between the driver and engineers, with this highlighted as a problem to fans. The dialogue between the two has become ever more important since 2014, with the driver having to manage the powerunit systems moreso than he did in the V8 era. Reducing radio chatter will clearly put more onus on the driver to make decisions in the moment and also increase the chance of failure. Further raising the jeopardy bar, an agreement to change race start procedures has also been fast tracked. Clutch procedures have got to the point whereby we rarely see issues at the start, with it more about how the engineers percieve and relay the data to the driver for a controlled start from the various bite point checks. An overhaul of the powerunit penalty system has also been recommended for 2016 with an additional powerunit per driver for the first season of a new manufacturer entering the sport just one of the muted changes. It's also bee suggested that this be retroactively applied to Honda for 2015, allowing them a free allocation during the rest of the season, as they've already exceeded the target. Changes to the exhaust have been suggested for 2016 to improve the noise of the current powerunits, with this likely centered around the way the wastegate pipe interacts with the exhaust pipework, along with its diameter. Discussions about tyre allocation for 2016 are still ongoing with Pirelli but we are likely to see a shift in how the selection process takes place, most likely resulting in teams choosing their own compounds. This could have a dramatic impact on the racing, with teams choosing tyres that suit their cars setup, whilst the temperature working ranges could also be exploited. 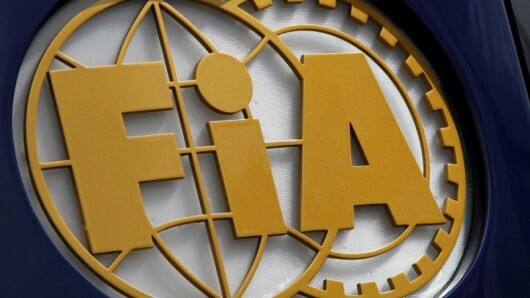 "Mandate has been given to the FIA and FOM to propose a comprehensive set of measures for power unit development and cost of supply, including full review of the token system, increase in race fuel allowance, limits on the usage of engine dynamometers etc." This suggests that the teams and engine maufacturers know that they cannot be seen to creating a framework that gives one an advantage over the other. Furthermore, it seems that a cost and development matrix will be redesigned in order to equalise performance, bring costs down for the smaller teams (imposing a cost cap on the supply of powerunits) and allow the manufacturers to recoup their costs beyond the original target of 2020. I've already discussed the matter of fuel and more specifically its effect on car weight after the Canadian GP, these factors have clearly been raised in the meeting and will be investigated further, improving the strategy window on "fuel-limited" races. It is interesting that a proposed limit on engine dynamometers has been raised too, as the regulations covering 'testing' only normally cover the teams, with limits now imposed on CFD & Wind Tunnel usage. However, with the powerunits now playing such a prime role in the cars development it's understandable, whilst it'll also be interesting to see if this has any impact on the chassis dynomometers that many of the manufacturers / teams have recently invested in. "wider cars and wheels, new wings and floor shape and significantly increased aerodynamic downforce has been outlined and is currently being assessed by the teams". Lastly there is suggestion that the race weekend format could be changed, which is something I suggested in my manifesto as a way of encouraging new fans. I'm sure it'll go down like a lead balloon with the established fans but it would appear that FP3 will be lost and a new qualifying/short race format will be used on Saturdays, all of which could be introduced for 2016.